For over forty years GS Manufacturing has been using ARO fluid pumps on our meter mix equipment for the composites industry. 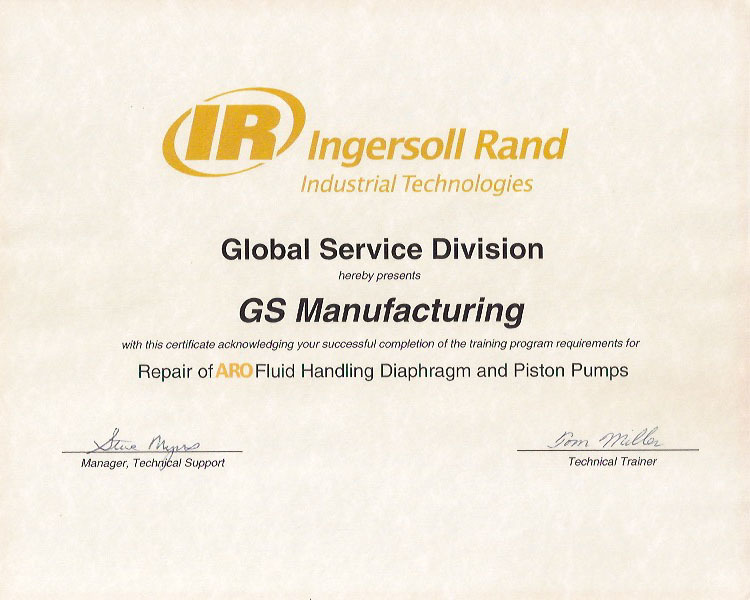 Our factory trained and certified technicians offer repair services on piston, diaphragm and chop check pumps. These services include inspection, testing, complete rebuilds as well as preventative and predictive maintenance programs to help decrease downtimes while increasing equipment longevity.